Wedding photographer using photo journalistic, candid, documentary, portrait, creative, modern and traditional styles to photograph your wedding or event with an unobtrusive caring and intimate approach. Having over twenty five years of experience specializing in wedding photojournalism, candid, formal and documentary wedding photography has brought me to many places in the US, Europe and the Caribbean. The price will include a disc with all of the images in color & B&W (high rez). Depending on what the budget is a small softcover "brag book", 8x10 prints and a large hardcover coffee table book with 100 to 250 images can be added. The cost can be adjusted and customized, depending on what you would like in the package. There certainly are many choices which will effect the total price and I would be happy to talk about the different options. I have been a full time professional photographer for many years and have the experience to use a variety of styles to capture everything from details to posed and candid images. I look forward for the opportunity to talk about your wedding and the types of photos you have in mind. questions about wedding photography or event photography. "Leo was great to work with. I do not like having my picture taken and also do not take a very good picture, however Leo took so many amazing pictures and they came out great. It was a very natural experience in that I didn't even realize he was there taken so many candid photos. He had told me the night of my wedding that the pictures would be up online to view the next day and everyone couldn't believe it. All my friends said it took months to see any of their pictures, we got to give pictures out as Christmas gifts which was only a month after the wedding. Everything from the pictures to the album to the exceptional service was fantastic and wonderful. Leo was everything we had hoped for in a photographer and more!" The best decision I made about my wedding day, next to marrying my husband, was asking Leo to do our photography. Our pictures are breathtaking, and he didn't’t miss a thing! Somehow, Leo was able catch the ‘look’ on my husband’s face when he first saw me along with my walk down the aisle-all in one moment. You can feel the emotions of the day all over again just by looking at the pictures Leo captured, from my mom catching her breath through tears, to the pride on Jody’s face when we turned around after we were pronounced husband and wife. Hire Leo and the only problem you’ll have is which photo to frame after your wedding day because you’ll love them all! "Leo photographed our Wedding back in the Fall of 2011. He was so wonderful to work with throughout our Wedding process. He really listened to us, made us feel comfortable, and really just wanted to make our day extra special. We enjoyed meeting with him before our Wedding, and really enjoyed having him be a part of our Wedding Day. He strived to capture everything we had asked for. Leo fit right in with our family and friends, and just made everyone feel so comfortable. We are so pleased with our Wedding pictures. Leo did an outstanding job......the pictures are beautiful! Leo has an artistic ability to capture many wonderful moments, which is just what he did on our Wedding Day. We were also so appreciative of his help through out the day, and his flexibility to accommodate all of our requests. We would highly recommend Leo for your next event!" Our wedding photos shot by Leo Gozbekian absolutely exceeded our expectations. He has so much experience shooting elaborate parties and events...his unique way of unobtrusively moving through the party and making our wedding guests feel comfortable was as natural to him as knowing precisely when to take the perfect shot and capture the moments we will treasure forever. Thank you, Leo!! We love our wedding album and we love you." Bonne Cavanagh commented on your Lindsey & Johnny's Wedding album. Bonne wrote: "I was a very lucky lady to have my GORGEOUS wedding photographed by YOU!" Paul Barrette commented on your Lindsey & Johnny's Wedding album. Paul wrote: "you did a great job Leo, thanks so much." Wedding photojournalism has been an increasingly poplar wedding photographers. It adds a different look from traditional photography and the intrusion that is involved. The use traditional photography to create bridal images that are mostly posed and scripted is still an important part of the wedding. This style is often seen in the formal family photos where the photographer takes posed pictures of the entire family and bridal party together. Photojournalism allows the day to pass by as usual while the photographer captures the entire event naturally as things progress without any involvement in the composition of the photograph. Wedding photojournalism comes from news photography photographers captures an event from the sidelines, not posing the people in the photograph. Contemporary wedding photography involves having involves many photographic techniques and styles. Right now informal photojournalism gives more genuine emotions and reactions. A lot of contemporary wedding photographers aim to capture candid shots from a distance, thus catching original moments. Incorporating artistic wedding photography photography adds artistic angles and lighting that give interesting and stunning looks to the wedding images. Some of this is done in post processing to stylize the photos, such as with black and white, sepia, antique soft colors, and vignetting. 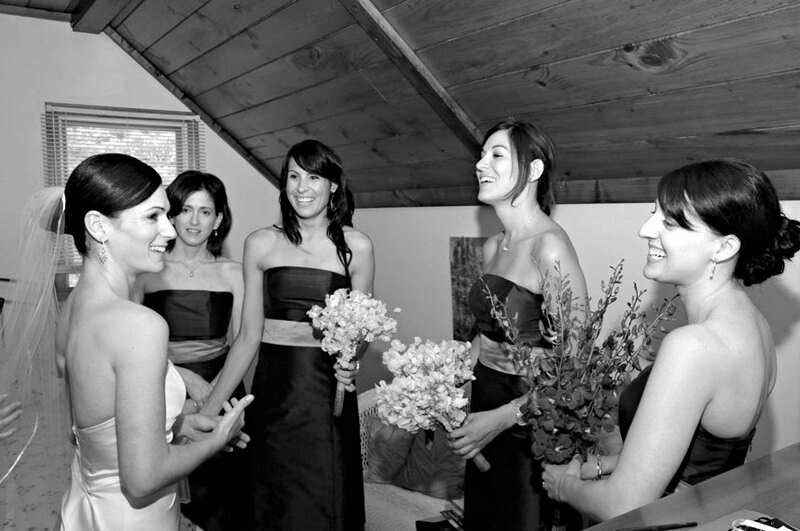 Documentary wedding photography is one more way for the photographer to see wedding photographs. It comprises taking the photographs in an approach to capture the day without crampons the spontaneity od the event .Emotions are more natural since they are genuine and not posed. As an experienced wedding photographer I have the understanding of many different ceremonies and events. My specialty is telling your story with pictures. Portraits are important on a wedding day and photographed unobtrusively to create natural artistic images that tell the story of your day. Capturing all of the special moments and fleeting emotions on the faces of family & friends plus all the scenes of the event. gives a complete photographic timeline of your wedding. I offer coffee table style books with a variety of different looks. My images capture every moment of your day and the books that can hold hundreds of photos collect and preserve those memories. I have traveled to beautiful destinations with amazing scenery across the US as well as around the globe. From beach weddings to small chapels or any destination Welcome the opportunity to be your considered to be your destination wedding photographer. Castle Hill , Hammond Castle, Independence Harbor, Odyssey Cruises, Old Sturbridge Village, Sheraton Commander,Sheraton Boston, Venezia, Indian Pond C.C. Be careful when choosing you wedding photographer. Wedding Favors from KeepsakeFavors.comKeepsakeFavors.com offers elegant, original favors featured in Martha Stewart's Living Magazine, among others. We showcase spectacular party favors, baby shower favors, anniversary favors, and wedding favors, plus a complete selection of favor supplies, custom chocolates, mints, and almonds. Candy Wrappers from WhimsyWraps.comUnique and contemporary candy wrappers designed for any occasion.